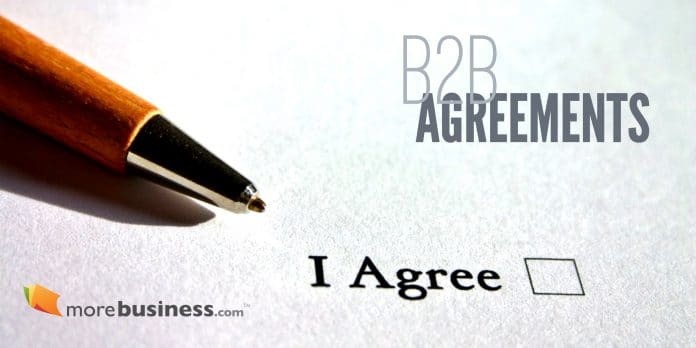 You should always have B2B agreements (business-to-business). 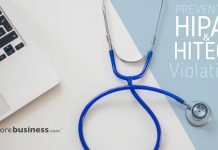 Regardless of the service you provide to other companies, whether it is in person or an online SaaS business, a B2B contract protects you in ways you can’t imagine. Even when you have B2B agreements in place, you can face issues, but they’ll be a lot easier to handle. Here’s a true story when I was running MailerMailer, a SaaS email marketing service provider that was acquired in 2017 by j2 Global (Nasdaq: JCOM). We had a client who stopped paying us for his monthly service. It was only $30/month, but his credit card expired and he didn’t update it. Our automated system sent him notices, which he ignored. Four months later, and after sending multiple notices that he ignored, we closed his account. Two years later, he contacted us and demanded access to his account. He had not attempted to login during that entire time. We told him his account was closed to nonpayment two years ago and that we followed the terms that are clearly outlined in our B2B contract. He sued us anyway, claiming that we closed his account without his authorization. Our B2B agreements clearly stated that if he stops paying for his monthly subscription to our service, regardless of the reason, we have the right to close his account and terminate any access. We argued that if a customer doesn’t pay their electric bill, the electric company shuts off their electricity. The customer doesn’t give authorization to shut off access to the electricity. It’s part of the agreement. You pay for services and, if you don’t pay, you don’t keep getting them for free. The judge agreed with us. He lost his frivolous lawsuit. I lost, too. I lost my money on the legal fees we had to pay to defend ourselves. I lost time and energy wasted on dealing with this customer who had a history of filing frivolous lawsuits. However, I can only imagine what would have happened if we didn’t have well-written B2B agreements to protect us from all kinds of situations. Our B2B contract included protections from abusive use of our service, copyright infringement of text and data customers stored in our service, and many other scenarios that our lawyers thought of. Insurance companies may also review your B2B agreements to provide coverage for your business. A good contract can save you lots of headache and money down the road, regardless of whether you are starting a business or running an established company.